The movie End of the World: trailer, clips, photos, soundtrack, news and much more! Actor Jonah Hill is overdoing it! Hopefully he won’t survive the upcoming apocalypse! Seth Rogen and his friends will face the Apocalypse in theaters on June 12, 2013. 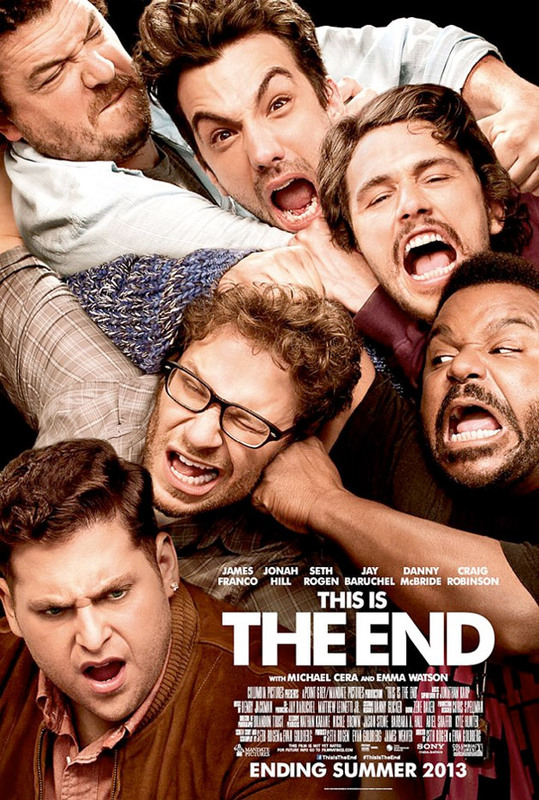 Trailer of This Is The End – Directed by Evan Goldberg and Seth Rogen. You may recognize Emma Watson (Hermione Granger from the Harry Potter movie franchise) as the axe-wielding young woman. In theaters: June 12, 2013. According to the news anchor, Air Force One crashed: did the American president survive? The film is starring Seth Rogen, James Franco, Jonah Hill, Jay Baruchel, Danny McBride, Craig Robinson, and Michael Cera. In theaters; June 12, 2013. The film is starring Seth Rogen, James Franco, Jay Baruchel, Jonah Hill, Craig Robinson, Danny McBride, Emma Watson, Rihanna and Michael Cera. What would you do if you were faced with the apocalypse? Would you just stay in your home? This is the end, the only end my friend! In theaters: June 14, 2013. 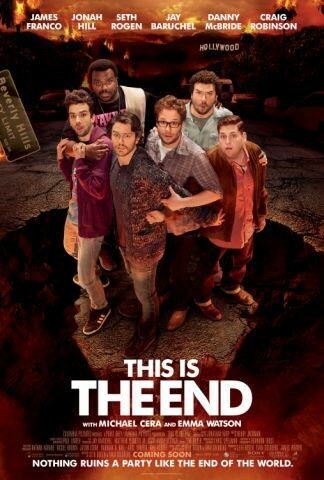 This is the End Movie – Release Date: June 14, 2013.